Picking out what you wear for training is just as important as what you wear for race day. For training, you want to wear and practice in conditions that simulate race day. This includes gear and course. That may mean switching between open water and pool practices when the weather gets warmer. That also means occasionally wear gear similar to your race day kit. However, it may not be convenient to wear your race day kit once a week or a wetsuit. Or, swim in open water. What do you wear in those situations? You wear gear that will simulate the feeling of wearing a wetsuit. This is where neoprene swim shorts come into play. The swim shorts are buoyant and will help keep your hips high in the water like a wetsuit. The fabric is very slick and reduces drag. In this post, I’ll review my top 6 swim shorts and at the end provide a short but detailed buyer’s guide for you. BlueSeventy Core Neoprene Swim Shorts are designed for both swimmers and triathletes alike. The swim shorts will lift your hips and legs in the water to mimic a wetsuit’s lift and a pull buoy’s buoyancy. If you’re a triathlete, the swim shorts might make it easier to transition to swimming in a wetsuit, which will make race day less intimidating. If you’re just focusing on swimming, the swim shorts will act as a wearable swim buoy. With proper training, you can work on your arm stroke with natural hip and leg movement. 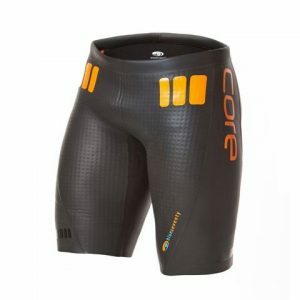 The Core Neoprene swim shorts are made with the same material as Blueseventy’s Helix Wetsuit line. The outside of swim shorts has 3mm side panels and the inside is not lined with anything. The thinner side panels have less buoyancy than a wetsuit, but enough to help keep your legs and hips up. This feature may also make it easier to kick and use your hips as you normally swim. The fit should be tight on your legs, but not too constricting when you’re on land. In the water, you should be able to move naturally with an extra boost. In the water, you shouldn’t be able to feel any water coming through the swim shorts. Overall, this pair of swim shorts is designed to help you improve your stroke. The real test comes when you take off the shorts, if you can still swim correctly. If the shorts fit correctly, you’ll be put in a more realistic water position simulating a wetsuit or swim buoy. I recommend this to any triathlete who needs to work on their swim or who want to simulate swimming in a wetsuit. I do not suggest swimming exclusively in the swim shorts especially if you’re a beginner swimmer. You’ll need to learn better a technique to make yourself stronger. Doing so might also reduce your risk for swim-related injuries. These shorts tend to run small, so if you have “cycling” legs instead of “running” legs, consider sizing up. You might be happier with the choice if you’re between sizes. 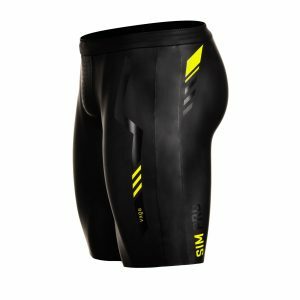 ROKA Sim Pro Swim Shorts is a tactful tool for your triathlon and swimming training needs. You can swim in these shorts and feel as if you’re wearing a wetsuit without getting overheated in a pool. The shorts are designed to simulate a wetsuit body position so you’ll feel your legs and hip effortlessly lifted. This allows you to focus on your arm stroke. Unlike swimming with a pull buoy to improve your arm pull, you can kick, use your hips, and even flip turn as you normally swim. Before I get into the specific materials, ROKA designed their swim shorts to be worn in a pool. ROKA created the swim shorts so they will be durable after every swim, no matter where, as long as you rinse them afterward. ROKA made the shorts from 100% premium Yamamoto neoprene for buoyancy. 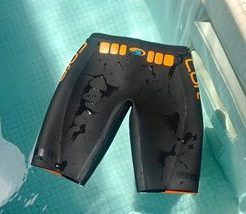 The shorts have RS2 side panels on the outside of the hips, which might help your hip rotation in the water. The shorts’ centerline panel is designed with Yamamoto Aerodome neoprene. This type of neoprene traps a small amount of air which helps improve buoyancy. Around the waist, the shorts have SCS coated stretch knit waistband, which blocks any water from coming in. Additionally, it helps the overall fit and might the shorts feel more comfortable. On land, the swim shorts should feel snug over your swimsuit or jammers, but not constricting. In water, you should be able to move naturally with more efficiency and speed. You should feel the swim shorts lift your legs and hips up, just like your wetsuit. This puts you in the most ideal position for a streamlined swim. The swim shorts are designed to help you improve your stroke for race day. The shorts’ design will help your muscles remember what it feels like to swim with a wetsuit, which might make you more comfortable on race day. Many beginner swimmers have said that their hip rotation improved tremendously after using the swim shorts a couple days a week over a long period of time. After regularly training in these swim shorts, you might notice a difference in your time and stroke efficiency. Be warned: don’t get overly-reliant on the shorts. Especially if you’re a beginner! You need to learn to swim properly to avoid injury. 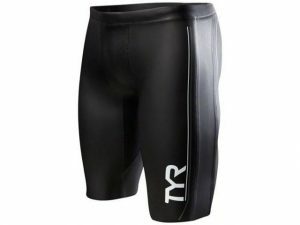 I recommend these shorts to anyone who wants to improve their stroke or time if you’re a veteran triathlete or swimmer. You can have the simulation of a wetsuit without the extra time of “suiting up” your wetsuit. This training equipment can be especially useful if you are having trouble fitting in an open water or wetsuit practice into your busy work week. This particular model from ROKA can be used if you’re triathlon is wetsuit legal for a USAT sanctioned event. A note on the sizing: the ROKA sizing charts are very accurate so you might not have to send back your first pair. If you’re between sizes, pick whichever size you use for wetsuits. Xterra Lava swim shorts are for any type and level of triathlete who needs an extra push for shorter days in the water or for the end of a workout. These swim shorts are specifically designed for training in the pool or in open water. You can speed through your “sprint” pool days and focus on your swim stroke on your “recovery” ones. The swim shorts are completely made out of neoprene with the intention of making them comfortable to wear and flexible in the water. The swim shorts should feel snug, but not restrictive on land. Think of what it feels like to be in a wetsuit. If it is similar then the sizing is correct. In the water, the swim shorts should allow you to move freely with an added bounce of buoyancy. The swim shorts’ waistband is supposed to be low-cut in the front and higher in the back. This design helps keep your shorts in place and you can swim and do flip turns as you would without the shorts. Xterra designed the swim shorts with race-level buoyancy which you would most likely experience in a race. The shorts also provide “room” for you to swim naturally, which will help you develop your own “style” to swimming as you become stronger in the water. Over time, the hope is that the swim shorts will improve your stroke technique and your muscles will remember what it feels like to swim correctly. 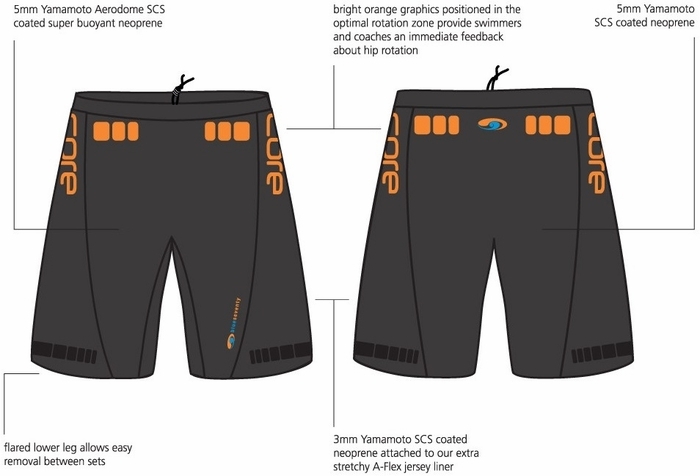 Xterra hopes the shorts will be most useful for speed workouts when you need an extra boost. Or, for a lighter workout with more focus on technique and hip rotation. I recommend this brand and model of swim shorts to beginner triathletes; whose most difficult leg is the swim. You might have more confidence in the water with the extra buoyancy other swim shorts don’t offer. I still recommend only wearing shorts once or twice a week for swim training. You don’t want to become too reliant on them. The Zone3 neoprene swim shorts might be your key to becoming an advanced or “veteran status” swimmer. If you struggle with core stability and leg kick strength and most importantly staying in the correct body position, these shorts might make all the difference for you. The Zone3 neoprene shorts are designed with smoothskin neoprene and are built just like a wetsuit would be. Down the center of the of the shorts it has 3 mm neoprene and on the dies 5mm neoprene. The 3mm neoprene is supposed to create more buoyancy and the 5mm work with the 3mm by aiding hip rotation throughout the entire stroke. The shorts come with a drawstring so you can be rest assured that the shorts won’t come undone during a swim or even a triathlon. The shorts should feel very tight but not too constricting; basically, it should feel as though you have half a wetsuit on. In the water, you should be able to swim as you normally do with the added help of the shorts. You might feel as though you can’t kick your legs to begin. This is normal as you become accustomed to swimming correctly. The shorts really do make a difference for beginner and intermediate swimmers. The shorts put swimmers in the correct swimming position: horizontal and streamlined. Over time swimmers can experience a more efficient and faster stroke. The shorts take care of the leg and hip motions so the swimmer can focus on arm power. For advanced to “veteran status” swimmers, the shorts might help you become more comfortable swimming in a wetsuit. I recommend these shorts to beginner and intermediate triathletes, especially the ones who need a little boost for their swim. These shorts are also in the cheaper end so these might be a good option if you’re relatively new to the sport or haven’t done your first triathlon yet. The TYR neoprene swim shorts’ features create more buoyancy, like the other shorts, but unlike the others, it also enhances hydrodynamic efficiency. If you’re looking to transition to a full-body wetsuit, this might be a good option for you. The design and materials are simple for such a beneficial tool: slick skin neoprene. The whole suit is made of the same material, similar to wetsuits. The shorts also have an adjustable drawstring to ensure your shorts don’t fall in the middle of practice or race. The shorts should fit like a wetsuit would; tight and not restrictive. In the water, you should not notice that you have them on, but still be able to swim naturally and do flip turns. The swim shorts create enough buoyancy so that you can focus on your stroke and arm power. Over time, you might notice that you swim in the same position without the swim shorts. This is if you are mindful of your stroke and put in quality time at the pool. Additionally, you may notice that you are more hydrodynamic in the water over time. You may be able to mimic the efficiency without the swim shorts or re-create it in a wetsuit. I do not recommend these swim shorts. Yes, they have mean good benefits, but the design has compromised a few swimmers’ comfort level. A few have reported that the drawstring is too short. This causes water to flood the shorts and they begin to slip during practice or a race. Synergy really put a lot of thought into the design and engineering of these swim shorts. It’s an all-around versatile pair of swim shorts that can be used to train and race USAT, WTC, Xterra, and Ironman triathlons. The swim shorts are made with SyPrene and Yamamoto limestone neoprene to give you added support and flexibility where you need it the most. The shorts come with both 5mm and 3mm panels along with triple stitching, heat taped joints, and dual smoothskin tapered leg technology. The shorts have 4-way stretch technology for even more flexibility; in addition to a soft liner to minimize chafing. The shorts should be even more comfortable than wearing a wetsuit! You’ll have the buoyancy and tightness of a wetsuit with the flexibility of these swim shorts. In the water, you’ll be able to feel your stroke improve over time no matter what level. If you’re in the water for a recovery swim, you can focus on technique without exerting too much effort. For beginner swimmers, you might notice that the swim shorts give you more speed as you work on your body form and stroke. This is all due to the shorts’ buoyancy. For intermediate swimmers, you might be best off using the shorts for your speed and technique workout days. You can continue to work on your stroke but more emphasis might be put on your set time instead of solely on technique. For advanced swimmers, you might use this for your speed, recovery and interval days in the pool. You can focus on your technique like an intermediate swimmer and have no worries about the time. I highly recommend this pair of swim shorts as an all-around top pick. You can use it no matter what type of triathlon you’re training for and any level of swimmer you are. Shop around the other reviews, but this might be your choice whether you’re just getting your feet wet in the sport or a veteran. 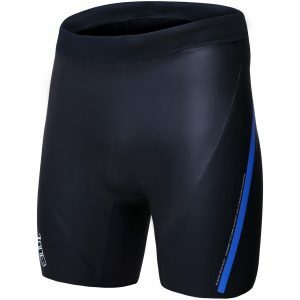 Why Do Triathletes Need Neoprene Swim Shorts? 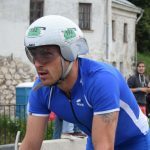 What is the most difficult or daunting part of the triathlon? Many beginner triathletes or novice swimmers comment that it’s the swim part. Since the swim is often the hardest, many beginner triathletes wear a wetsuit. This may help reduce race day nerves and help beginner swimmers’ stroke. How many of you, who use a wetsuit for races, practice in it? Many of you may say that you race in one, but very few have the opportunity to practice in it. The problem with this method is that your body is used to swimming without a wetsuit, which can cause problems on race day. This is where a neoprene swim short comes in handy. These shorts are specifically made to simulate your body position as if it’s in a wetsuit. Who Should Buy Neoprene Swim Shorts? Ideally, wouldn’t it be nice to own every piece of triathlon gear? But, I understand you might not have the budget for it, or you may not need the piece of equipment. Neoprene swim shorts are recommended for triathletes who race in wetsuits and want to simulate racing in one without wearing regularly. Be warned, many coaches do not recommend wearing neoprene swim skins regularly. Often, it “corrects” bad swim technique without actually putting in the work to improve it. Triathletes who have a solid swim foundation, won’t see as dramatic time different as those who are beginner swimmers. If you’re trying to improve your technique, try to shrink the gap in your times with and without using the swim shorts. Why Is It Important to Choose the Right Neoprene Shorts? Choosing the right swimskin is just as important as its fit. Remember, you want to simulate the feeling of wearing a wetsuit. So, you’ll want to choose a neoprene swim skin that feels as if you’re wearing a wetsuit. That means, you’ll want it to feel snug, but not too constricting on your body. In water, you’ll feel more buoyant and you’ll be able to swim faster and more efficiently without putting in too much effort. Doing so ensure that you might have an easier time swimming in a wetsuit on race days even if you can’t regularly swim in open water.